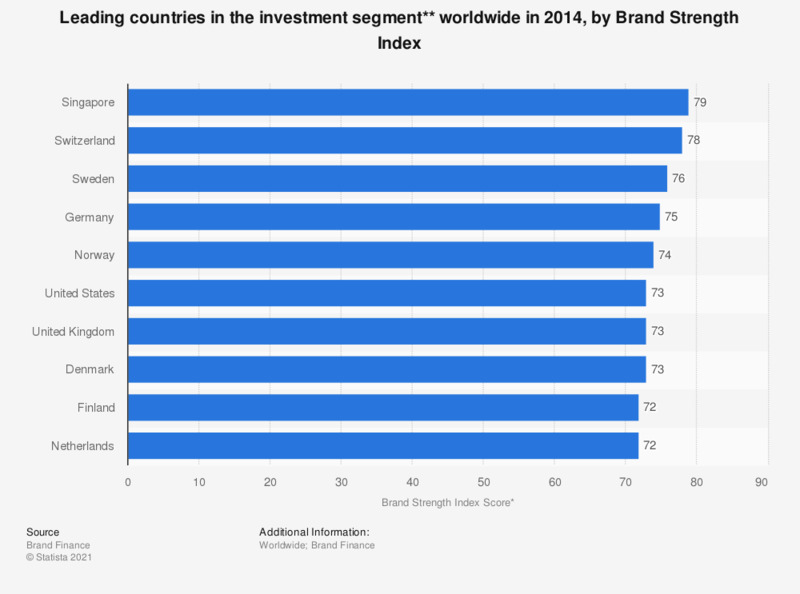 The statistic depicts the top ten nation brand performers in the investment segment in 2014, measured by the Brand Strength Index (BSI). In that year, Singapore received the highest investment segment BSI score of any nation with a score of 79. * A country's BSI score is combined with GDP data to arrive at the nation brand value- Looking at the BSI in isolation can tehrefore in some ways be seen to be the truest reflection of government's guidance of their nation's brands as the inherent GDP advantage of larger countries is removed.